The multimedia phones are equipped with lots of tools and features which make them cost a lot of battery life both during use and other times. For android phones the battery usage is even more as many of the applications use internet connection and continuous update runs even behind the screen. The general problem with Smartphone is the short battery life and you require charging your phone twice in a day, to stay connected. This can be a real problem as the source of power may not be readily available always. To beat that problem, FAST & EASY APPS – IGNIS AMERICA, INC has introduced its app Battery Saver 2X. 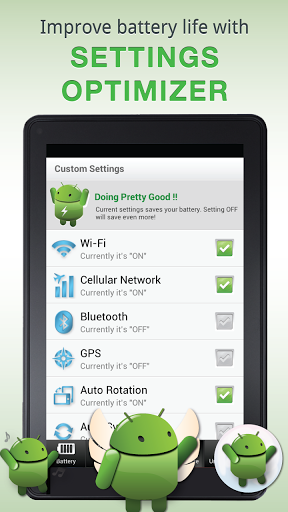 This is an app for android users which can considerably decrease battery usage. Battery Saver 2X is an app that regulates your phone battery usage and makes sure that the battery life is used when it is actually required. The internet connection is turned off when not in use and the phone is sent to sleep mode when you are not operating it. Unnecessary usage of internet is restricted and that saves your money on data usage which is an additional benefit of using this app. It also implies that you don’t stay connected through chat and social networks but whenever you put the light on in your phone, the internet is again connected. 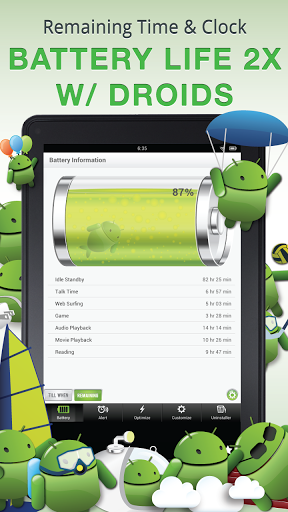 The app is a feature packed one with several indications of battery usage that lets you know when to charge your phone. 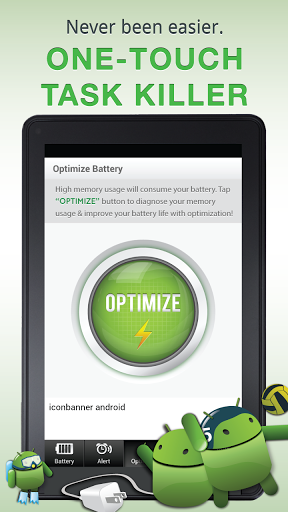 Battery Saver 2X Save Battery is an app that limits your battery usage to the minimum level. The app turns off all unnecessary apps and internet connection when the phone is not in use. 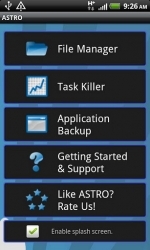 The task kill or optimizer tool is efficient enough to stop tasks that are not required. The app also indicates the usage level of memory before and after the killing of task. The app comes with application manager which can be used to update or uninstall the app. There is an alarm system with the app that indicates when the charge goes below 20% of the full level. The app indicates battery by alarm system at different levels. You will get an indication when the battery is 100%, 70%, 50% and 30%. However, you can always turn this feature off. You can reduce the screen brightness in order to use less battery. The version 1.0.2 is available for free and it requires android 2.2 or later. The app requires just 5.9MB space on your device. Summary: Battery Saver 2X Save Battery saves maximum battery life for your phone and uses only the required amount. 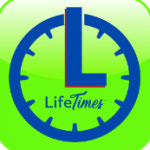 The app is a five in one app with benefits of alarm to indicate decreasing battery life. Good: The app is available for free and there is no in-app purchase required in the app. Easy to kill tasks with a single button operation makes it even more interesting. Bad: The new update of the app is full of ads which can be annoying for some. LIFETIMES OF CELEBRATIONS- MAKE THE MOST OF IT!